MEPs from Ireland’s two largest parties have shown a “shocking apathy” towards EU climate action, a new report ranking political parties in the European Parliament has found. The report from Climate Action Network (CAN) Europe comes in the run-up to European elections in May, finding that the current European Parliament has “failed to treat climate change with the urgency it demands”. CAN Europe is Europe’s leading NGO coalition fighting dangerous climate change with over 150 member organisations from 35 European countries. The report assesses the voting behaviour of MEPs on climate and energy issues, revealing which political parties have acted to protect Europeans against climate change. With the information from this report in hand, Can Europe says that Europeans should be equipped to vote for candidates from parties that support climate action. The Parliament will have a say on all EU legislative proposals, with the 700 elected representatives playing an instrumental role in major decisions on a raft of green topics such as the fight against pollution and climate change to plastic waste and biodiversity protection. According to the report, Sinn Féin is the best party performer from Ireland, yet does not even score half the possible points available on the report’s ranking scale. The party still has more than twice as many points as Fine Gael and is well above Fianna Fail in the ranking, the report finds. 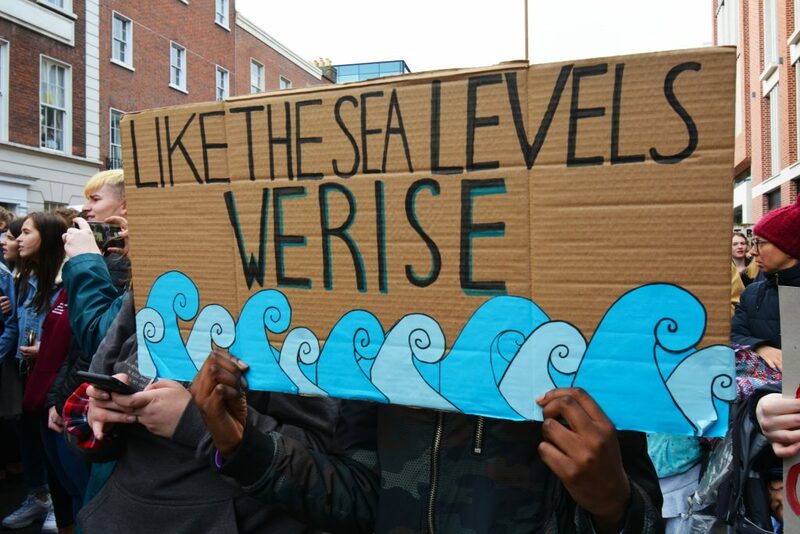 “The findings confirm the alarmingly isolationist position of Irish politicians when it comes to climate action in comparison to other Western European countries,” the report states. Fianna Fail’s ranking is zero as the party’s only MEP Brian Crowley has failed to vote in the current Parliament session due to health reasons. Mr Crowley recently announced that he will retire. Only Ireland’s three independent MEPs – Nessa Childers, Luke ‘Ming’ Flanagan and Marian Harkin – reached a good score above 50 per cent, the report found. Both Ms Childers and Ms Harkin will not be seeking re-election next month. In total, 59 candidates have put their names forward for election across the three Irish constituencies including Former Tánaiste Frances Fitzgerald, ex-communications minister Alex White and controversial presidential runner-up Peter Casey. Green Party candidate Senator Grace O’Sullivan reacted angrily to the new report this morning, stating that she is “sick to the teeth” of hearing positive climate rhetoric at home from policymakers, yet seeing a different voting pattern in Europe. “This report lays bare the truth behind Ireland’s political greenwashing,” added Ms O’Sullivan, formerly an activist with Greenpeace. The report finds that five out of eight political groupings are performing poorly, with the Europe of Nations and Freedom (ENF), the European People’s Party (EPP) and the European Conservatives and Reformists (ECR) at the bottom of the ranking. “They have acted as Dinosaurs who have not yet grasped the need for action against climate change and as such prevent others from doing more,” CAN Europe stated. According to the report, only the Greens/European Free Alliance, the European United Left/Nordic Green Left (GUE/NGL )and the Progressive Alliance of Socialists and Democrats (S&D) are “acting as Defenders, fighting to protect Europeans against climate change”. 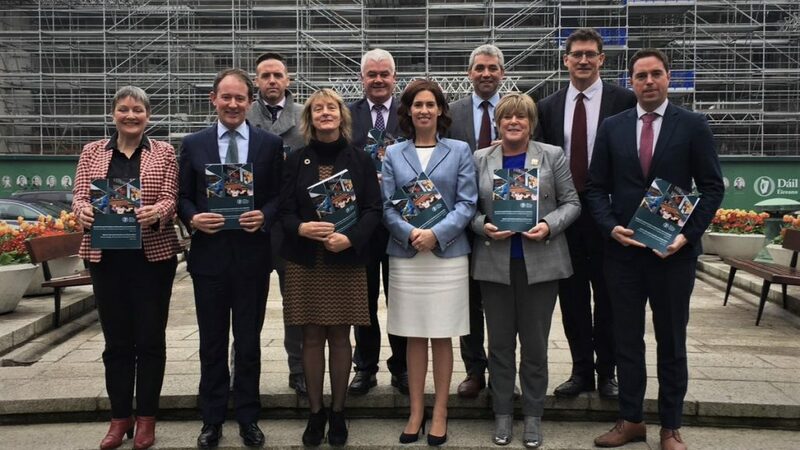 The GUE/NGL grouping, of which Sinn Fein is a member, will launch a Climate Emergency Manifesto for the elections later today. 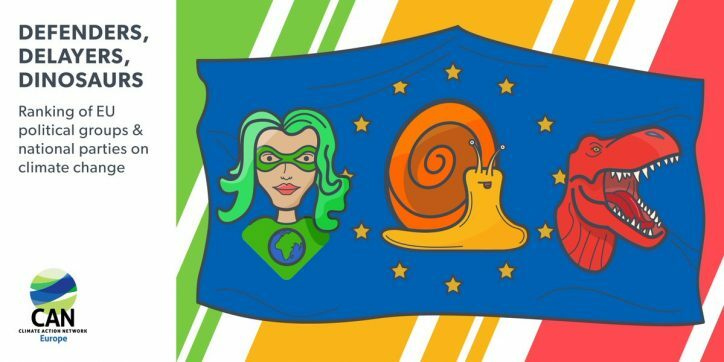 The manifesto, seen by The Green News, includes policy goals such as inserting climate justice into the legal bases of the EU and Member States, the setting up of an International Court of Climate and Environmental Justice. Ensuring that a just transition is at the heart of climate action is also outlined in the document, as well as a call for a revision of the EU 2050 climate strategy to achieve 100 per cent renewables and carbon neutrality by 2040 at the latest. Another report from CAN Europe release on Monday found that Ireland’s draft national energy and climate plan (NECP) does not live up to the Paris Agreement goals. Ireland’s draft plan released last December, however, does not demonstrate high ambition on energy savings and renewable energy and lacks concrete policies and measures for the coming decades, the report found. The European Commission’s 2019 Country Report for Ireland also recently found that our climate plans fall short of the level of ambition required to put Ireland on a path to achieve its 2030 targets. “The final NECP, to be finalised by the end of 2019, should include new national objectives for 2030 as well as concrete policies and measures across the energy and climate areas,” the report states. The Environmental Pillar – a coalition of over 30 national environmental NGOs – will host three climate hustings across the country over the coming weeks for candidates to set out their commitments to potential voters. illar coordinator Michael Ewing said: “We need a fundamental rethink of the kind of Europe we want to really bridge the gap between the EU and what its citizens want in terms of environmental and biodiversity protection.